2 pounds of assorted parachute cord. 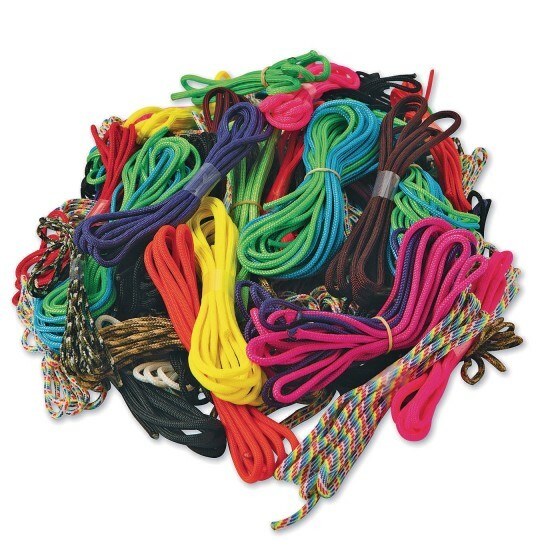 Each bag is sold by weight and contains various colors, lengths, and sizes of cord. May contain a mix of 95, 325, and 550lb cords. Assortment will always vary. Made in USA. This value pack was a total waste of money. Over 75 of what was sent was BLACK.... This certainly does not coincide with the description of variety. Also when they say varying lengths BELIEVE THEM. Some stands were so short they could not even be used! !